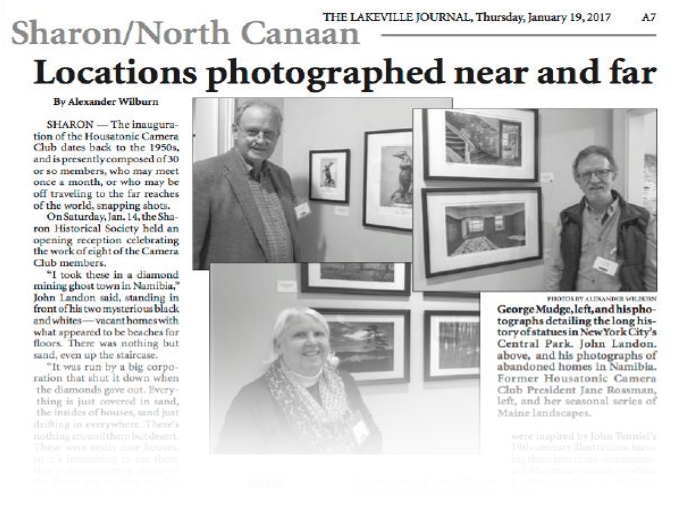 On saturday, Jan 14. the Sharon Historical Society held an opening reception celebrating the work eight of the Camera Club members. Read all about it in the Housatonic Camera Club Newsletter. or at Tricorner News, if you have a subscription. 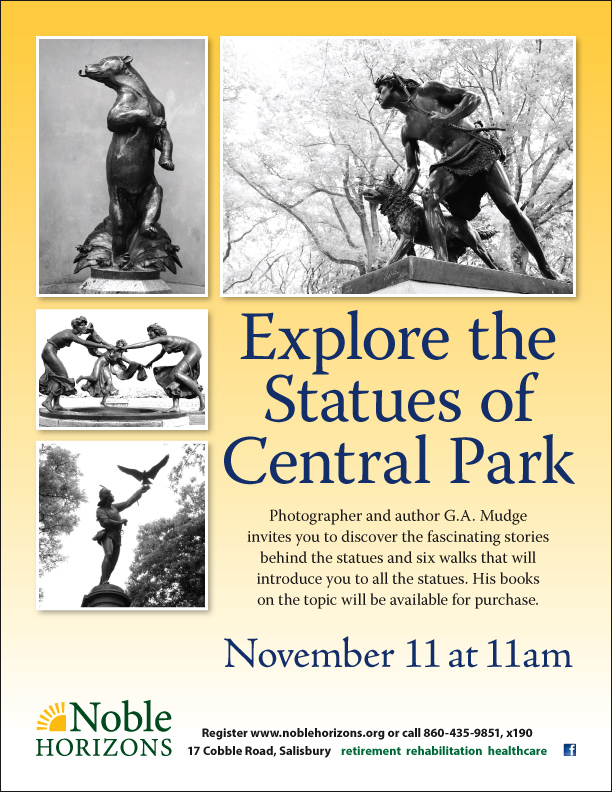 It was raised the other day at a book party for G. A. Mudge, the author of “Alice in Central Park — Statues in Wonderland,” which he calls the only book about all the statues in the park. He said the parks department website describes the figure a few feet from Alice, the Mad Hatter and the Cheshire cat as the March Hare. 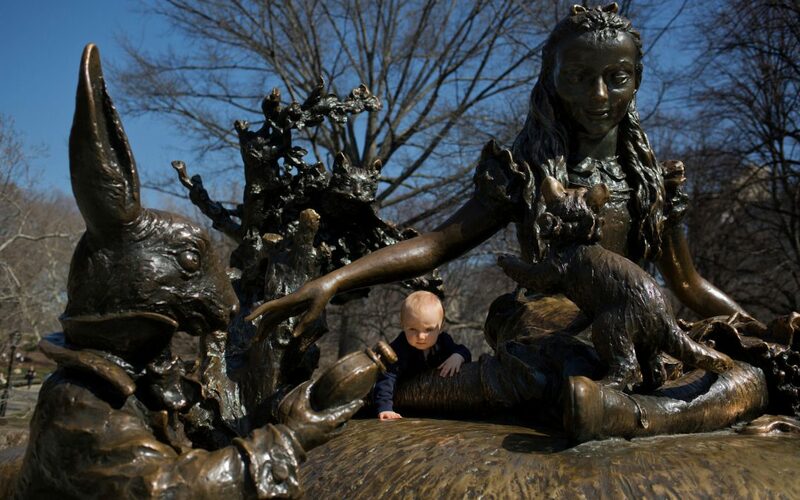 But the website of the Central Park Conservancy, which manages the park and raises 75 percent of its budget, states that it is the White Rabbit. As if that were not confusing enough, Mr. Mudge said the conservancy’s website also has a two-minute audio recording by Whoopi Goldberg that refers to the March Hare. Have a look at this really nice article on NY Gossip Gal about the soiree we had to promote Alice in Central Park. Lovely couple Barbara and Donald Tober held an intimate soiree for G.A. 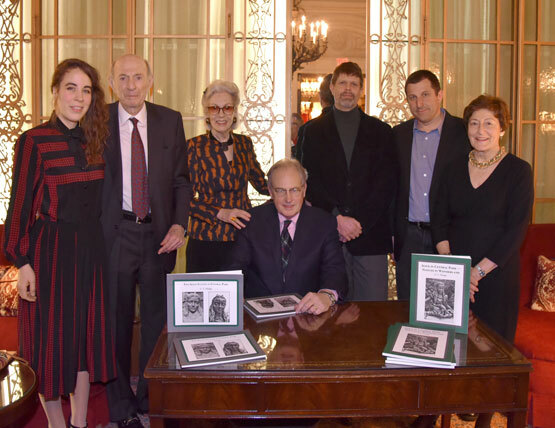 Mudge, author and photographer of the books, Alice in Central Park – Statues in Wonderland and Two Alice Statues in Central Park, at The Lotos Club. Mr. Mudge, joined by wife Sis Mudge, spoke briefly of the Alice In Wonderland statue in memory of Margarita Delacorte as members of the Delacorte family, looked on. 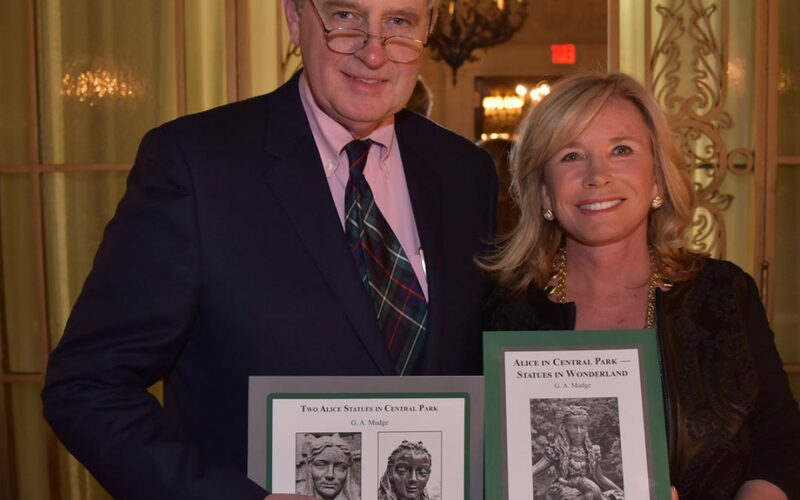 Mr. Mudge, joined by his wife Sis Mudge, dedicated the evening to the statues in our beloved Central Park. He spoke briefly of the Alice In Wonderland statue in memory of Margarita Delacorte in the presence of members of the Delacorte family. Also there was Jeffrey Spring of the Modern Art Foundry, who created the sculpture and Matthew C. Reiley, the conservation manager at the Central Park Conservancy, who keeps the statues pristine.